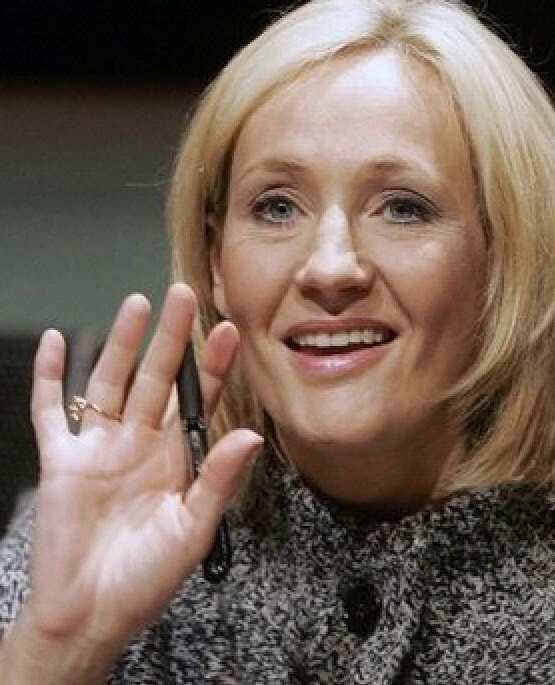 Do you have access to good photos of JK Rowling's palm ? 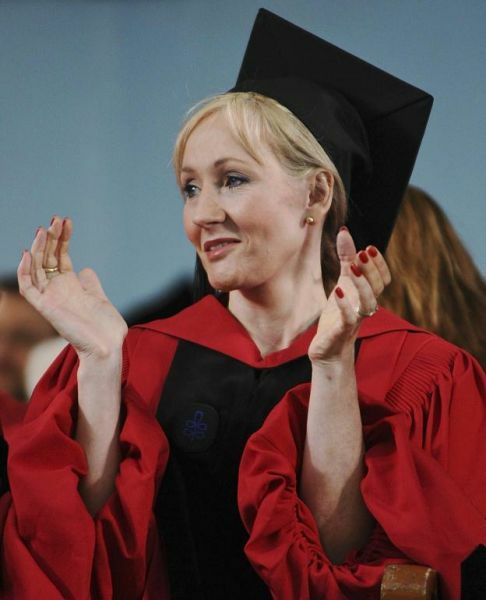 Would absolutely love to see her palms! 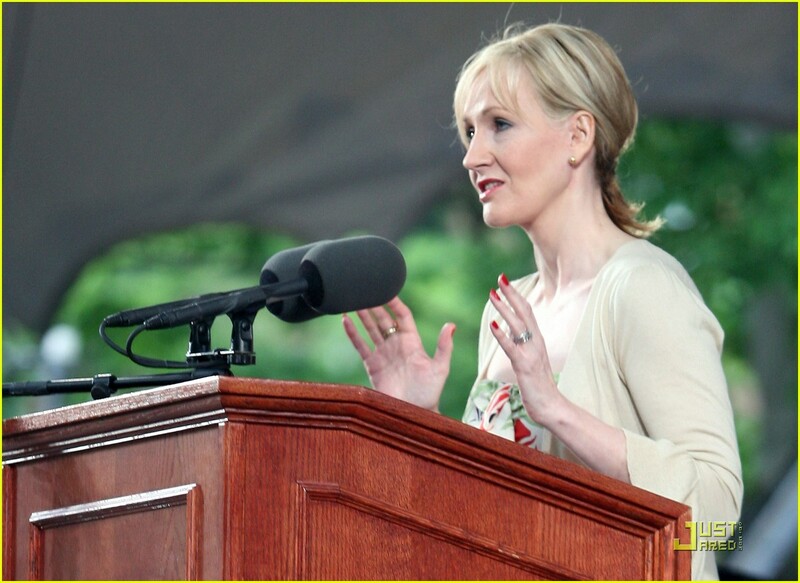 Joanne Rowling - is better known as J.K Rowling, the author of the Harry Potter books (which made of her a billionaire!). Here's another pic, you can see some of the lines, though not too clear. 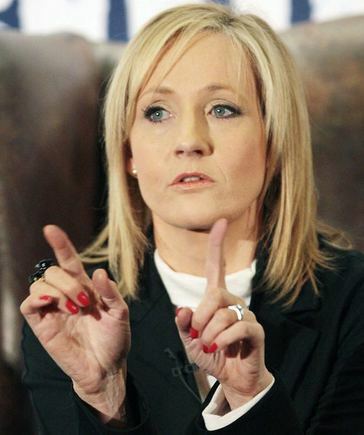 I've always wanted to see how her hands look mainly because the books always mentioned that those who keep losing their jobs and switching careers have broken or separated fate lines. 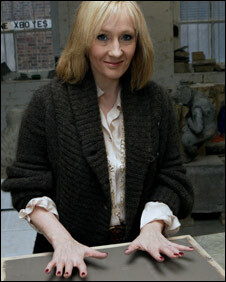 And for the most part, until she found success with the Potter books, her career was moving from one line of work to another. 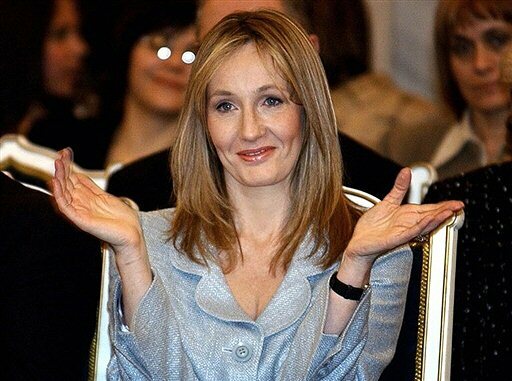 Then, the indications of success from failure and poverty (since she was on welfare for a while). Also, the side of depression. 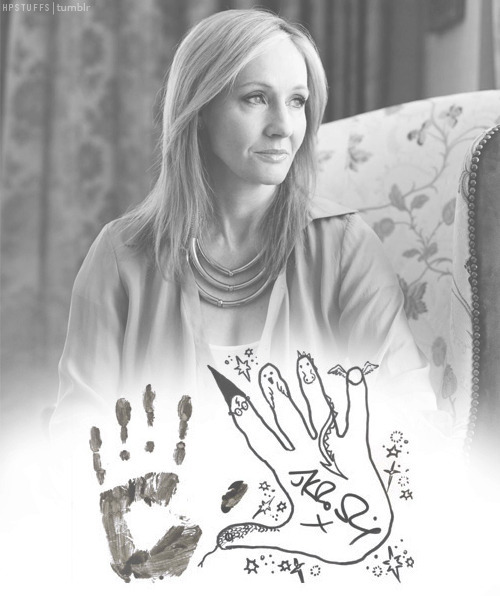 "J.K. Rowling’s handprint and drawing, donated to raise funds for Tilly Lockey who lost her hands to meningitis. (2009)"